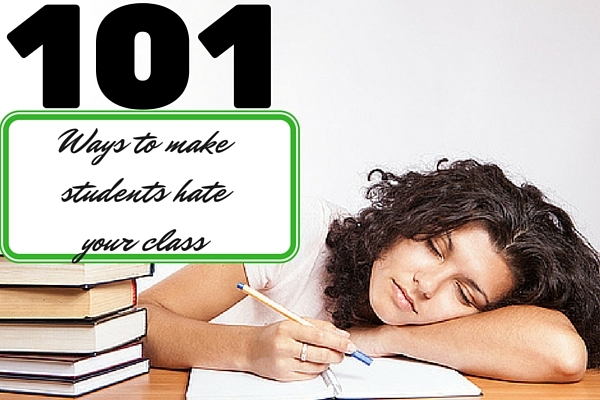 101 Ways To Make Students Hate Your Class | So You Want To Teach? What do you think? Leave a comment with some more ways you have accidentally found to make students hate your class.